The Obama administration has an affinity for the employment of special operations forces. Increased emphasis on this particular sliver of military power is almost without precedence in the modern era, and it is not good. The penchant to view special operations forces as an “easy button,” a ready substitute for conventional military forces, is utterly wrongheaded. Further, the current structure of special operations forces is an evolutionary dead end, and it is ill-suited to meet the strategic demands for American military power in the 21st century. Our political and military leaders ought to go back to the origins of special warfare and learn what needs to be done to keep the “special” in special operations. The military needs a more expansive, holistic approach to designing and employing special operations forces in the future. Moreover, U.S. defense planners must stop thinking that austerity budgets are compatible with sustaining the kinds of special operations forces the U.S. will need in the future. Bad news—the U.S. entered World War II without any special operations forces worthy of the name. Good news—the U.S. was unburdened by a bureaucratic, ossified, one-size-fits-all approach to meeting the myriad and diverse demands of a global conflict. After the attack on Pearl Harbor, the armed forces plunged into one of the most dynamic and exciting periods of military innovation in American history. During the course of the conflict, the U.S. dabbled in virtually every aspect of what today are described as special operations or covert warfare: psychological operations, civil affairs, advisory and training missions, and every facet of direct action and long-range reconnaissance imaginable. The diverse requirements for force structure also emerged. “Special” military units come in two flavors. Type 1 special operations forces do very special tasks. In other words, they are special forces that are designed for special missions. A great example of a Type 1 organization was the Jedburgh teams organized by the Office of Strategic Services to operate deep behind enemy lines during World War II. Type 2 special operations forces perform conventional missions, but they do so under very special circumstances. That was the hallmark of 5307th Composite Unit (Provisional), commonly known as Merrill’s Marauders. 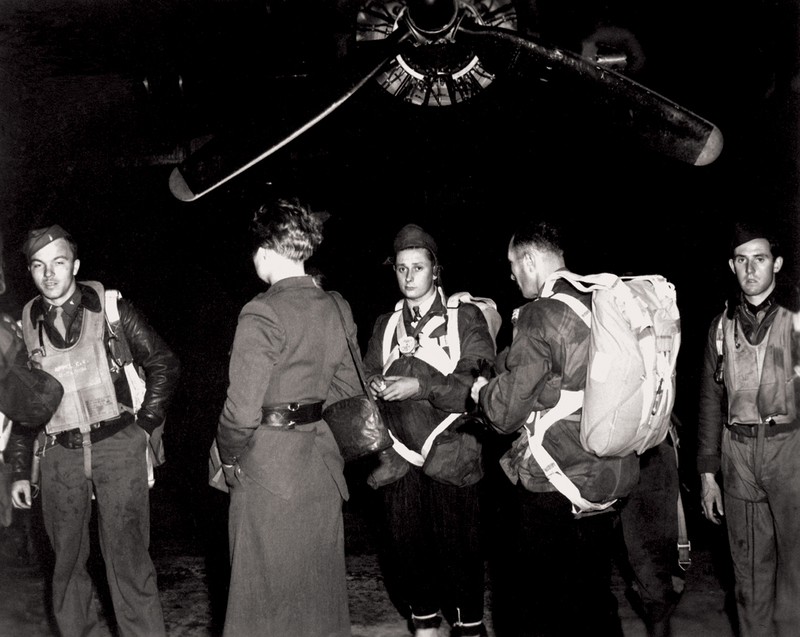 They were deployed in South Asia with a mission to conduct operations in the Japanese rear. They were special because they had to conduct conventional operations without conventional lines of communications, experimenting with airborne resupply, medical evacuation, draft animals for transport and the employment of light artillery in jungle operations. After the war, a series of American presidents pressed the services to expand special operations capability. Dwight D. Eisenhower had a keen interest in using these forces as a substitute for competing with the Soviets without directly confronting Moscow in a conventional war. John F. Kennedy was overly enamored with the potential of using covert activities as means for waging “limited war.” Over the course of his too-brief presidency, Kennedy greatly accelerated the pace of U.S. covert actions, green-lighting 163 major operations in less than three years. Through early 1967, the Lyndon B. Johnson administration authorized 142 such operations. It is often forgotten that even during the height of the “conventional” war in Vietnam, the Pentagon conducted a robust special warfare effort. The problem with both Kennedy’s and Johnson’s approach to special operations was that they increasingly looked at covert units as substitutes for—rather than complements to—the use of conventional military forces. Employing ground forces of any character went out of vogue after the Vietnam War, but the expansion of transnational terrorism in the mid-1970s rekindled Washington’s interest in expanding the capacity of the Special Forces community as a counterterrorism tool. The disaster at Desert One, the failed special operations Iranian rescue mission, became rightly or wrongly the chosen clarion call for defense innovation and reinvestment. The Senate Armed Services Committee used a case study of the mission as its poster child to advocate for joint reform. The twin impact of the Reagan defense buildup and the 1986 Goldwater-Nichols legislative reform re-energized the special operations community, creating the foundation of the armed forces’ current capabilities. The 1987 establishment of U.S. Special Operations Command (SOCOM), unique funding mechanisms and the expansion of mission requirements all led to creating the premier special operations forces capability in the world. 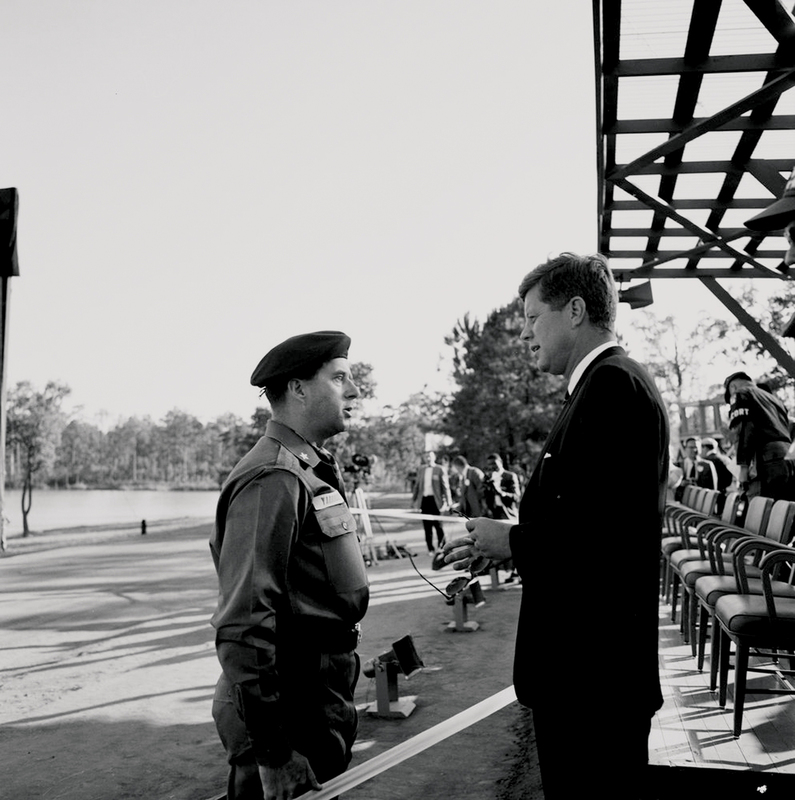 From an operational standpoint, special operations employment after the Cold War reflected an understanding of the appropriate use of these forces and their relationship and employment in conjunction with conventional military power. This was best illustrated by the 1996 book Spec Ops: Case Studies in Special Operations Warfare: Theory and Practice by Adm. William H. McRaven. His book gained a global reputation as the standard work establishing the proper principles of special operations activities. Based on a number of case studies (both U.S. and foreign), it codified the best practices that were reflected in American special operations from World War II onward. McRaven’s eventual rise to commander of SOCOM affirmed the emerging U.S. way of covert warfare. The happy days of special operations extended through the last decade, but there is serious debate to be had that the good times are coming to an end. The White House is repeating the mistakes of the Kennedy and Johnson years, seeing conventional and special operations forces—as well as the other elements of national power—as fungible. While overreliance on a minimalist and incremental use of force and influence was intended as a replacement for the overreach of the George W. Bush administration’s way of war, it simply comes across as substituting one set of misjudgments for another. “Low-cost” and “low-risk” covert operations are insufficient to manage the world and prevent bad things from happening. When the really bad things do happen, the nation finds itself unprepared to deal with them because our military forces are hollow. Suddenly, we must pay far more in blood and treasure than our boutique defense strategy has saved. The elements of national power are most effective when they are used in concert—not swapped back and forth like trading cards. The goal ought to be keeping them all robust and using the most judicious combination for the mission. The best way to outcompete the competition is to outclass them across the spectrum. The principle of strength building on strength is nowhere more important than in thinking about the use of joint forces across the spectrum of military operations. Conventional and special operations forces are not independent variables. Often, their effectiveness is relational to the capacity and use of one another. 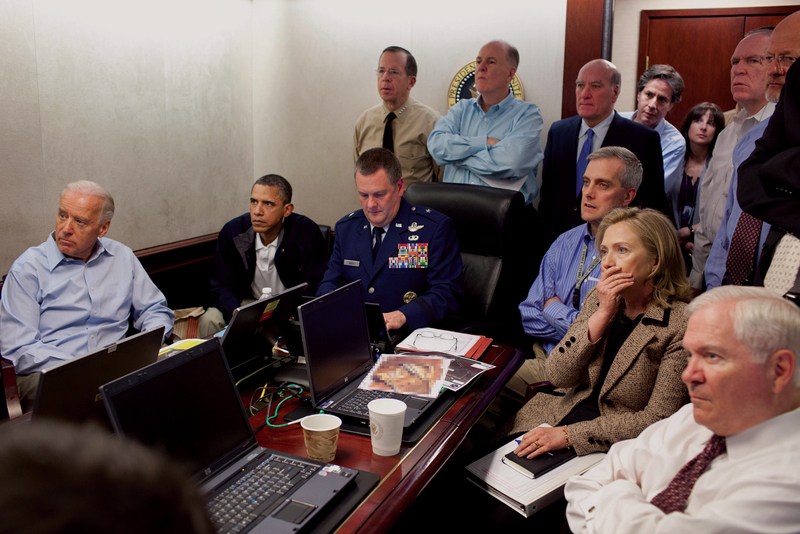 The 2011 raid on Osama bin Laden’s compound in Pakistan is a good example. The mission is rightly hailed as a triumph of covert operations, but would it have been possible without the massive conventional force footprint in Afghanistan that provided the platform to operate so effectively in the region? Austerity defense budgets are often framed as forcing the Pentagon to make hard choices. More often, they are forcing DoD to make stupid choices—like asking a driver if they want a car in which either the brakes or the steering wheel work, but not both. There is also a second victim of austerity budgets. As the services fight to preserve conventional capabilities and as SOCOM is tasked to do virtually everything, where are the armed forces going to find the capacity to efficiently build, innovate and adapt Type 2 special operations forces? The one very predictable aspect of war is that it is often very unpredictable. A global power with global responsibilities ought to have, in addition to the capacity to deal with what it knows is coming, the means to adapt and innovate to meet unanticipated requirements with some degree of forethought and efficiency. There are three options. One is to maintain a specialized force to deliver a core capability. That might be Navy SEAL teams or a ballistic missile force, for example. The second option would be to retain the capacity to get someone else to do it. This would include the ability to train and equip allies or indigenous forces to fill the role. A third option is to retain the doctrine, forces, training, leadership and equipping to reconfigure forces to conduct other missions. Taking the fire-support infrastructure in conventional units and employing it for a range of post-conflict and counterinsurgency duties in Iraq is a good example. Under the gun of the current pressures of an austerity budget, at best, the U.S. military is going to wind up with a modicum of the first, a bit of the second, and little of the third. That raises alarm bells when it comes to considering the U.S.’s capability to perform adaptive special operations activities down the road. Tragic as it might seem, there could well be a time in the near future in which the U.S. armed forces can’t adapt as fast as they did during World War II when it comes to special operations forces. Addressing the Type 2 shortfall is going to require breaking out of the strait of austerity budget thinking. 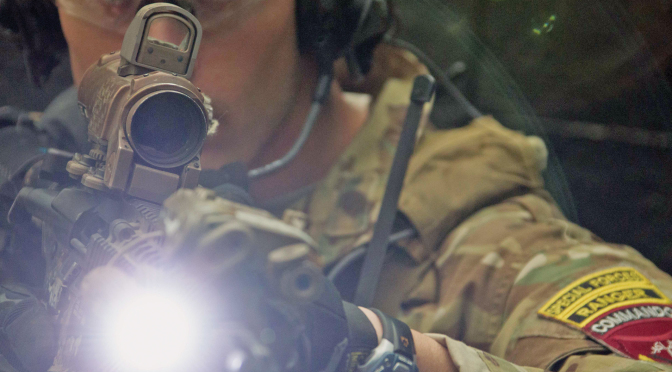 Requirements for innovative Type 2 forces could come from either end of the type of activities in which special operations forces excel—direct or indirect. The direct approach, as McRaven described in a 2012 hearing before the Senate Armed Services Committee, “is characterized by technologically enabled small-unit precision lethality, focused intelligence, and interagency cooperation integrated on a digitally networked battlefield.” On the other end of operations is the indirect approach, which, as McRaven explained, “includes empowering host nation forces, providing appropriate assistance to humanitarian agencies, and engaging key populations.” A betting person wouldn’t place all their chips on one requirement or the other. They would try to do a mix of both. That would require writing checks that DoD doesn’t have. Another challenge that austerity thinking foists on the force is the limited scalability of contemporary special operations forces from a strategic standpoint. The Pentagon gets what it gets; after that, this cupboard is bare. As the experiences of Iraq and Af-ghanistan demonstrated, it is not very feasible in the middle of war to grow the special operations forces to handle countrywide missions like counterinsurgency or regional challenges. The limitations are even starker recognizing the global need for these units. Even if the U.S. could dump everything it needs into one theater, it would so denude capacity to respond to other theaters that solving one challenge might serve to put other national security interests at risk. Mobilization is not a smart answer under austerity budgets, either. There are two sides to the U.S. military—the operating force and the generating force. The operating force does things—fights wars, for example. The generating force supports the operating force and creates the capacity to add additional capacity and capabilities in the future. Washington’s current plan is to hedge against future threats by increasing the means to mobilize more force in the future—that means growing the generating force. Under an austerity budget, a bigger generating force can be built only from having a smaller operating force. It’s a zero-sum game. In turn, a smaller operating force reduces the ability to mitigate risks that might turn into much bigger problems that will be harder to solve later on. Ironically, addressing risk through a mobilization strategy increases risk. Austerity budgets are negatively affecting the balance between special operations and conventional forces. Current force planning is also squeezing out the means to generate Type 2 forces. Washington’s current way of war is also upsetting the equilibrium between the operating and generating force. The last half-decade has taken the U.S. in exactly the wrong direction when it comes to force planning. 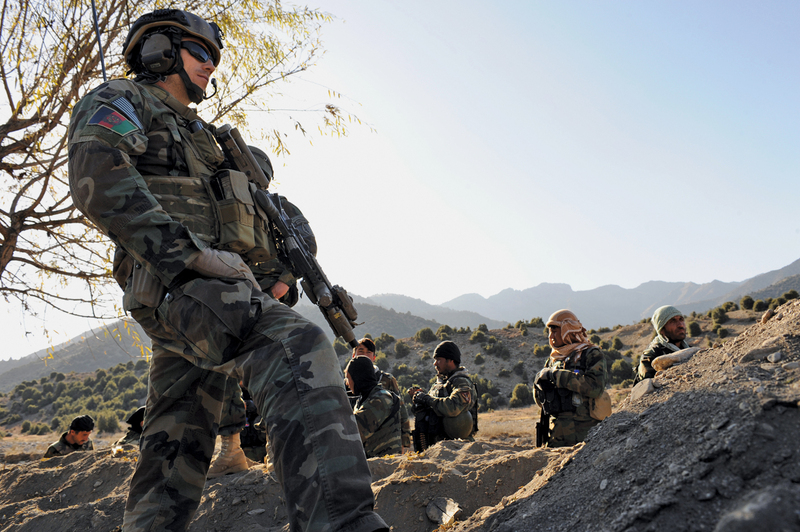 The outsized focus on special operations forces is a symptom of the problem, not the solution. The right answer is to recognize that austerity defense spending is not a sustainable strategy if the U.S. plans on having sufficient trained and ready forces to protect its vital national interests in the future. Further, when it comes to planning special operations force capability, the U.S.’s way of thinking is atrophying, not expanding to meet future requirements. In order to fix the problem, Washington needs to do a 180. Lt. Col. James Jay Carafano, USA Ret., a 25-year Army veteran, is a Heritage Foundation vice president in charge of the think tank’s policy research in defense and foreign affairs.